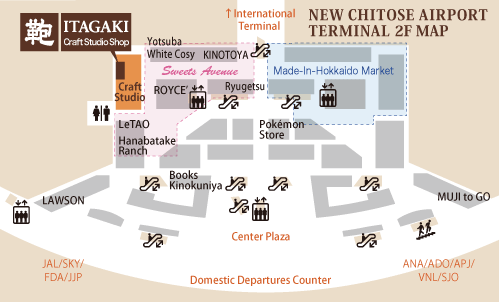 Our products are showcased in a corner of the Craft Studio in the Sweets Avenue area of the JAL section on the 2nd Floor of the New Chitose Airport Domestic Terminal. 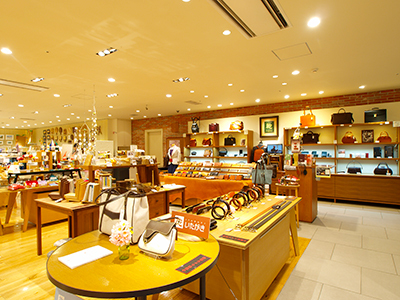 Looking for a memorable souvenir of your visit to Hokkaido? Or a stylish bag to make a statement this business trip? Please come visit our shop and we will have just the thing for you. Our convenient location makes a quick visit possible even when you have limited time in transit. At the Craft Studio we meet customers who have a discerning eye and a special sentiment for traditionally made handcrafted works. 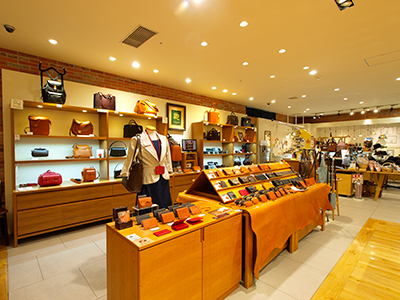 Our shop is also your introduction to the Itagaki brand inviting you to visit our flagship stores in Hokkaido and elsewhere. Introducing the Hokkaido emblem of the Craft Studio store. 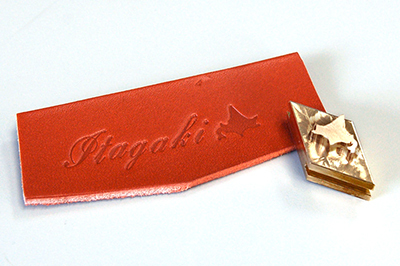 Each Itagaki store carries its own unique emblem which customers can choose to have embossed onto their store bought Itagaki products.The Hokkaido emblem is not available at other stores and serves as a unique reminder of your trip to Hokkaido. The Craft Studio, which displays many Hokkaido crafts in addition to Itagaki products, sits adjacent to the Otaru based Pastry store LeTao, a recognizable landmark for many travelers. For detailed information regarding its location, please refer to the airport map or feel free to contact us by phone.